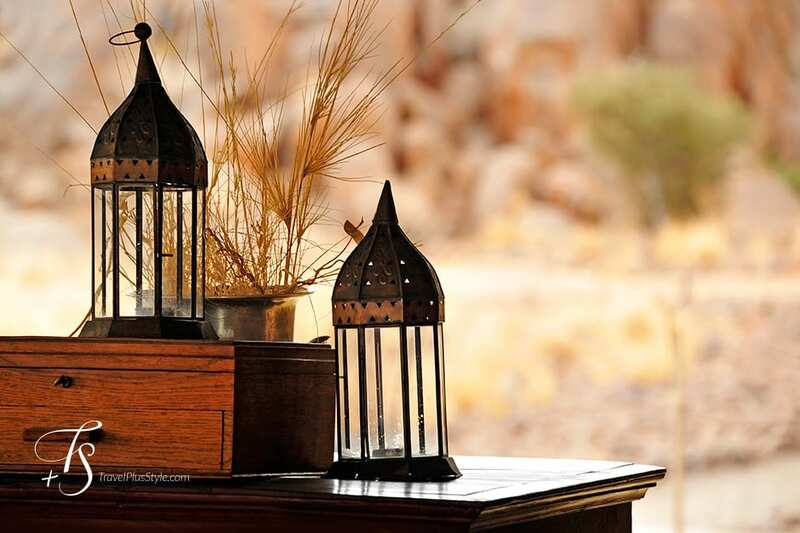 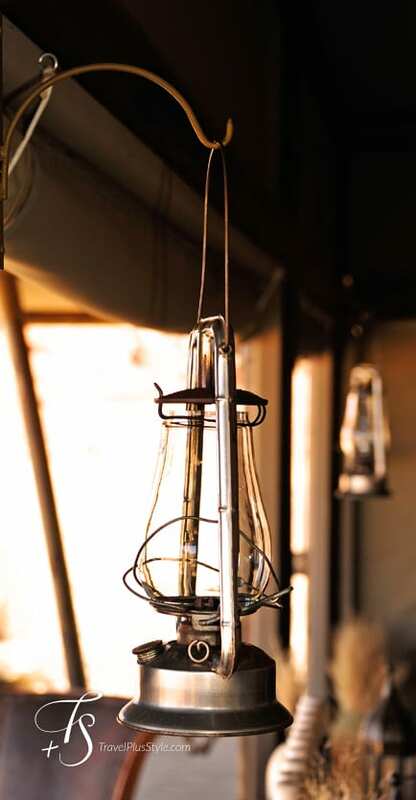 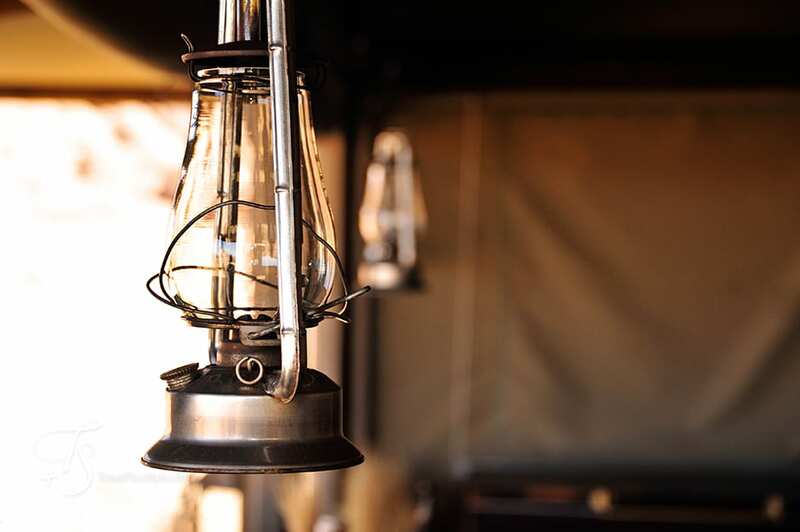 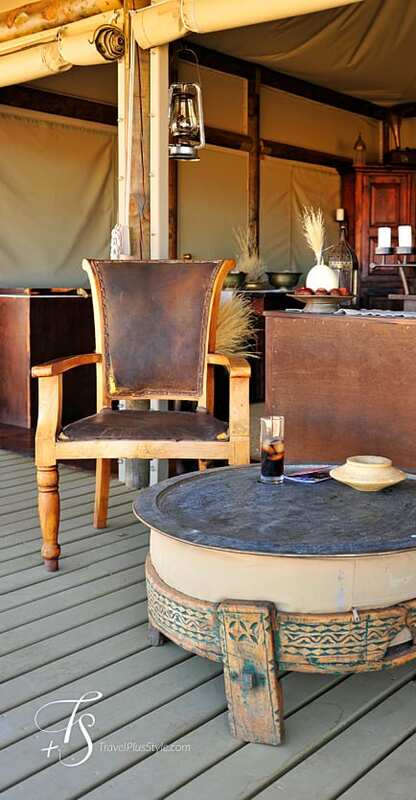 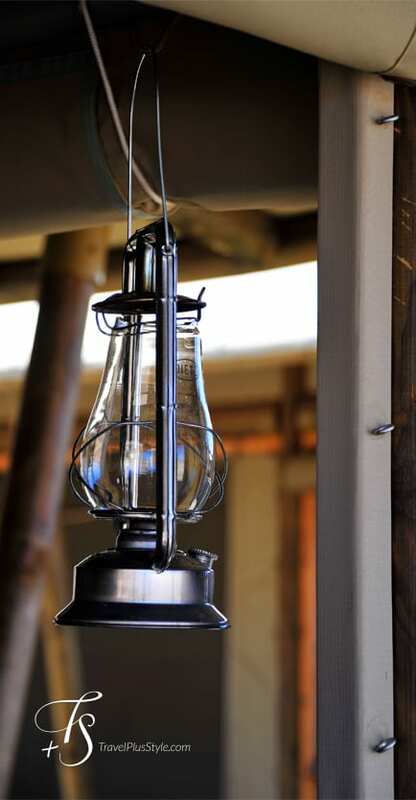 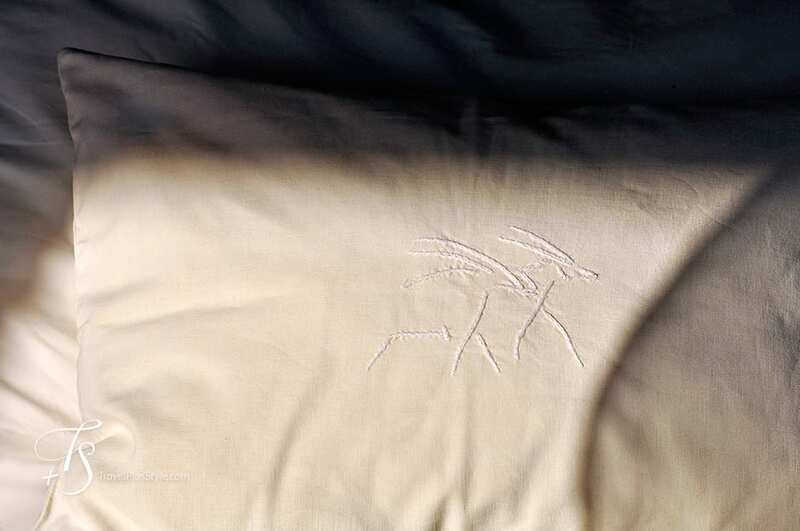 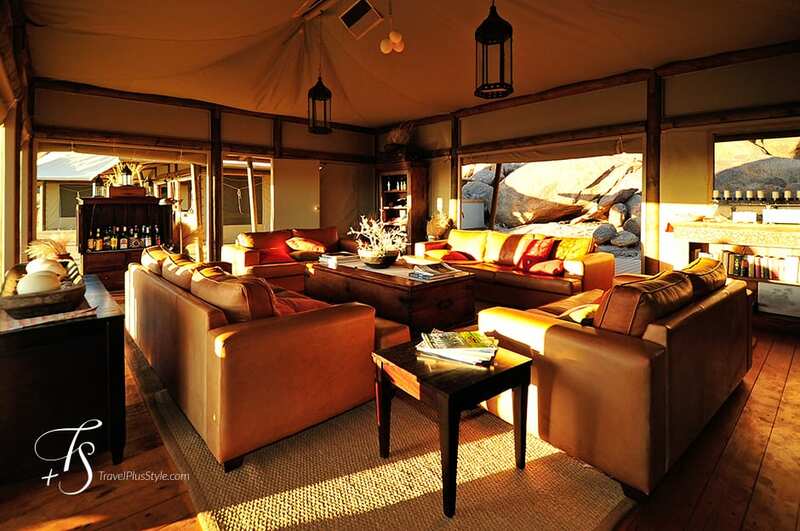 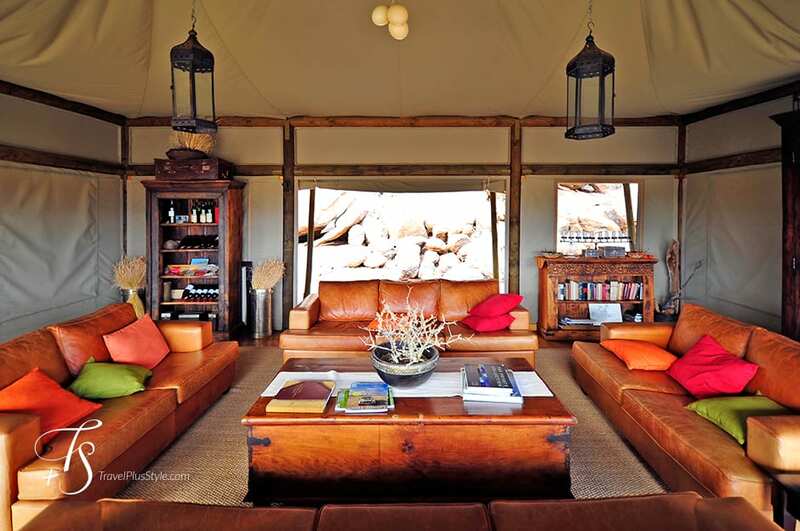 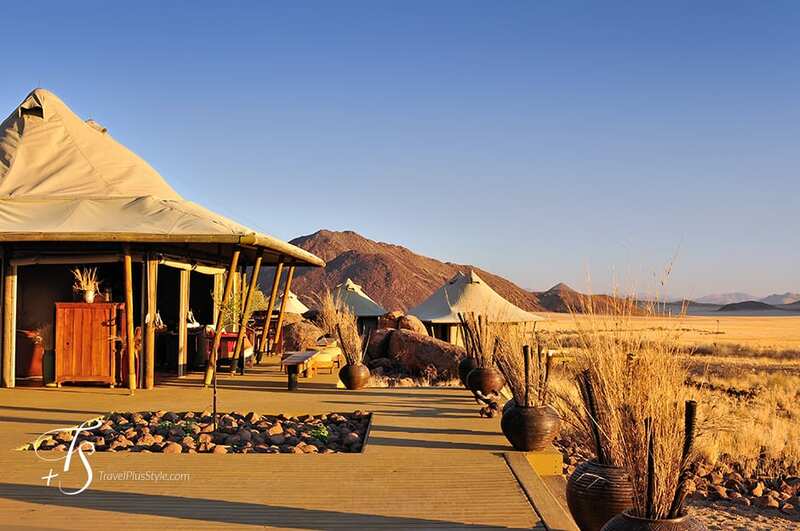 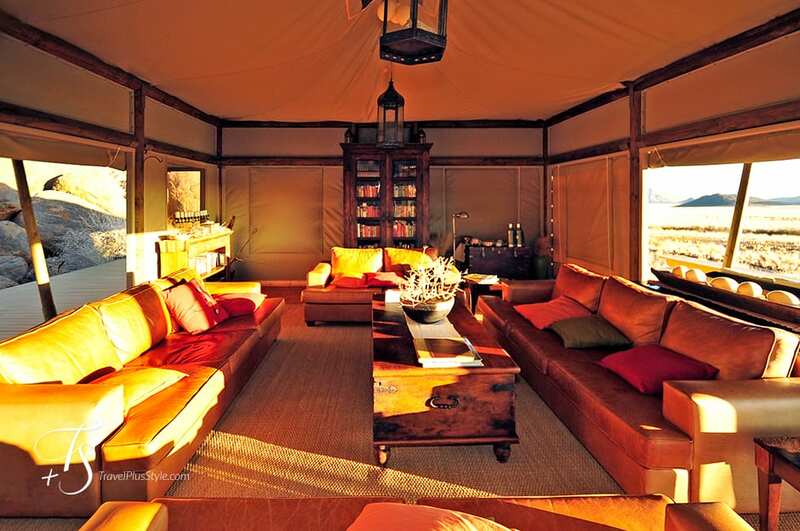 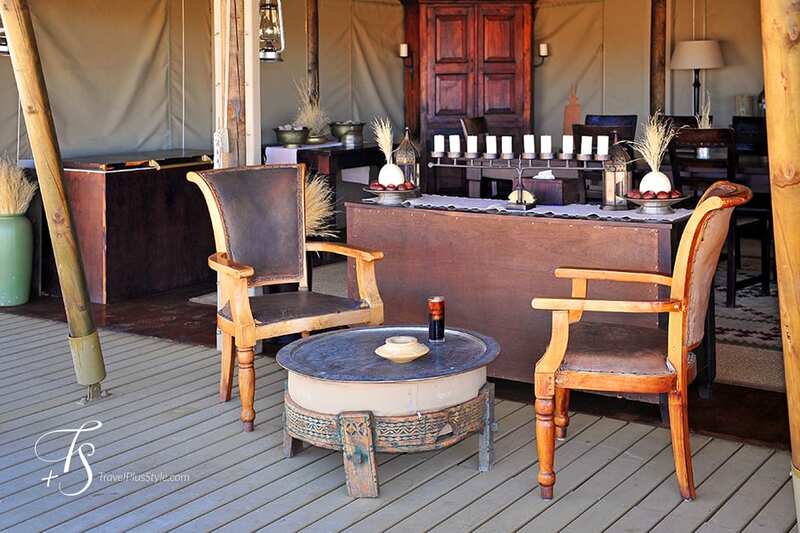 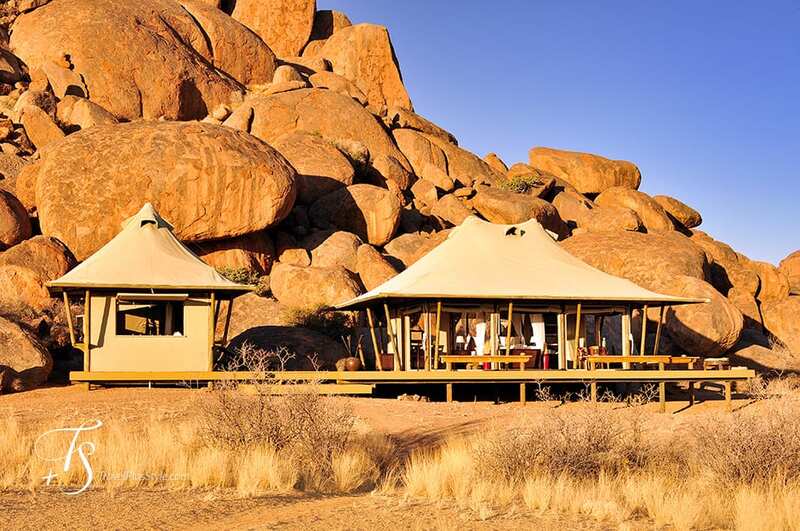 The essence of Boulders lies in the tranquility and solitude of its desert location, in the warmth of sunrays, in the afternoon wind, whispering in the canvas of the luxurious safari tents. 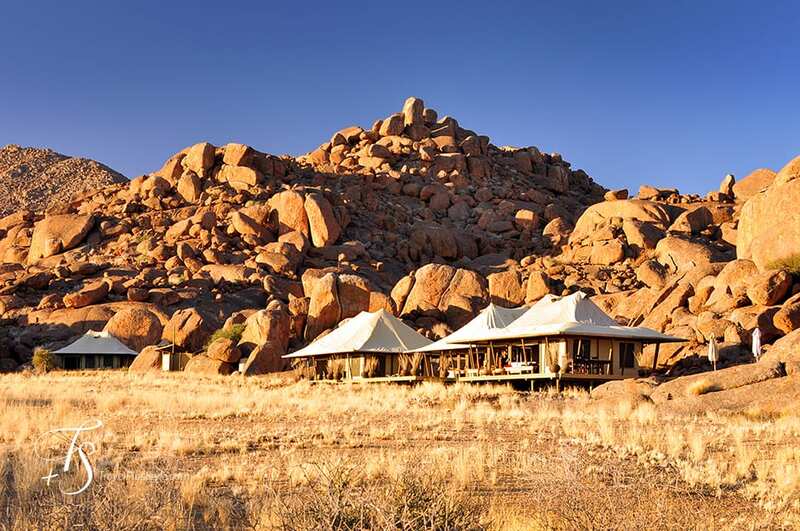 Tucked away in a cluster of granite rocks, in touch with the vast arid landscape, the Boulders camp reminded us just how important the choice of a hotel is to the travel experience. 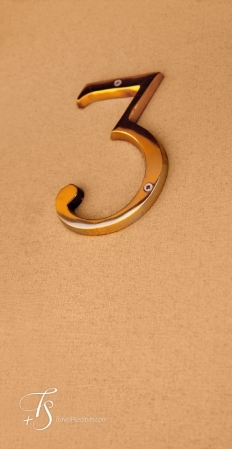 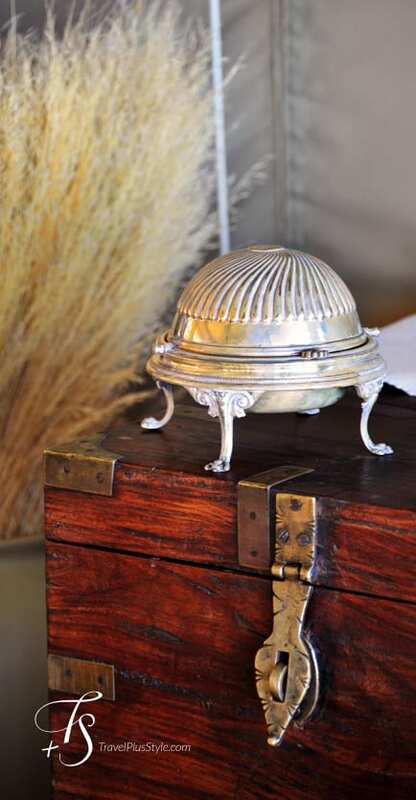 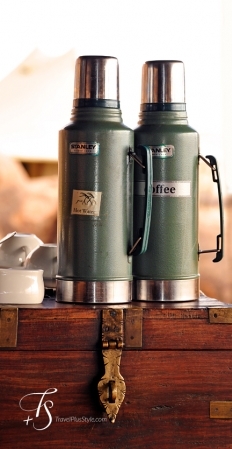 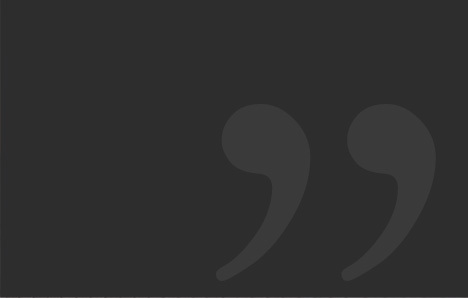 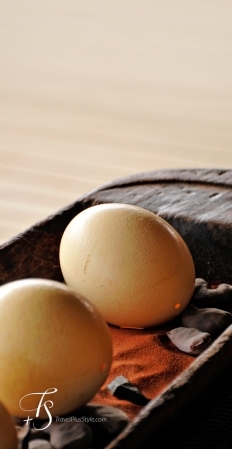 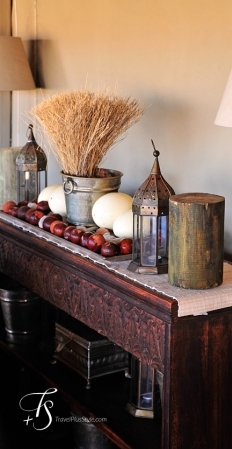 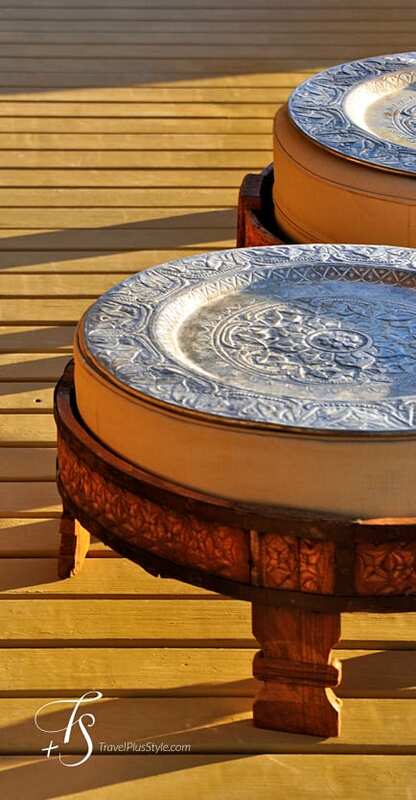 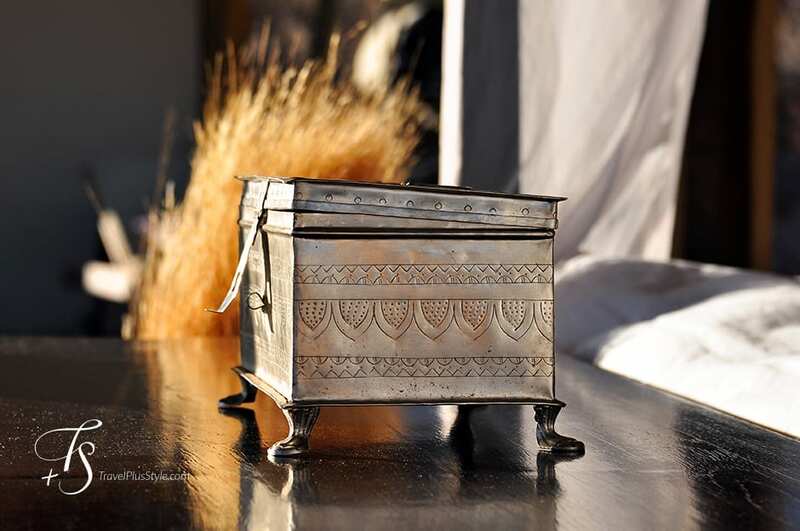 Our mantra is that the hotels are pivotal to the travel experience. 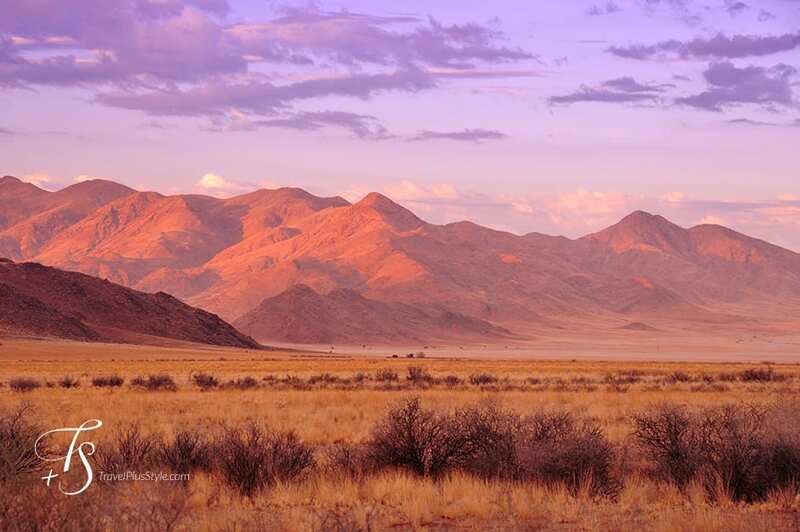 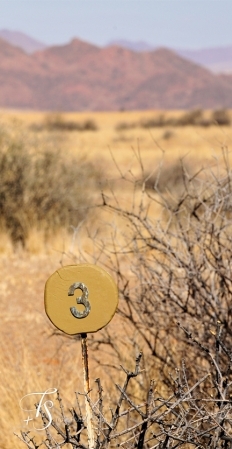 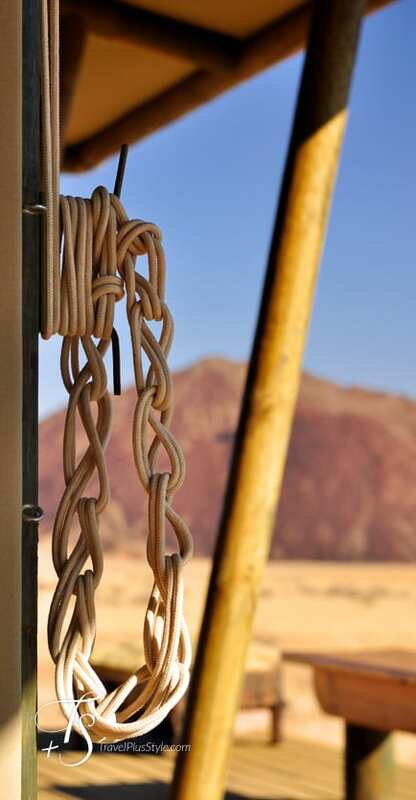 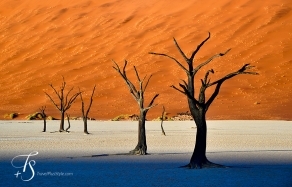 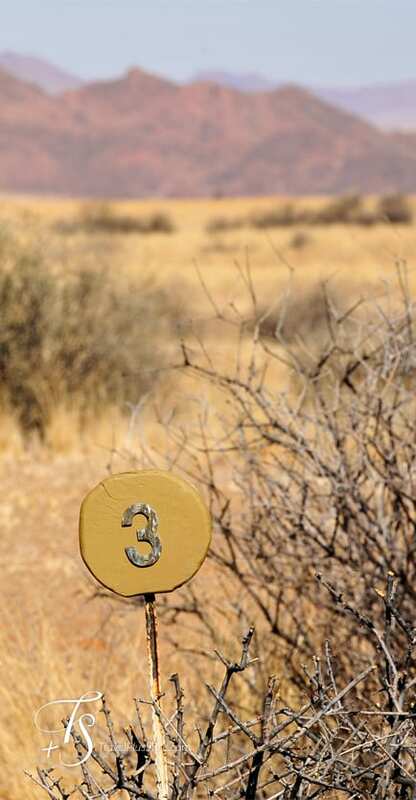 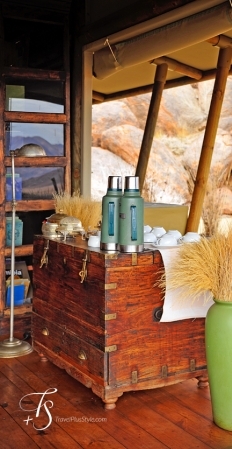 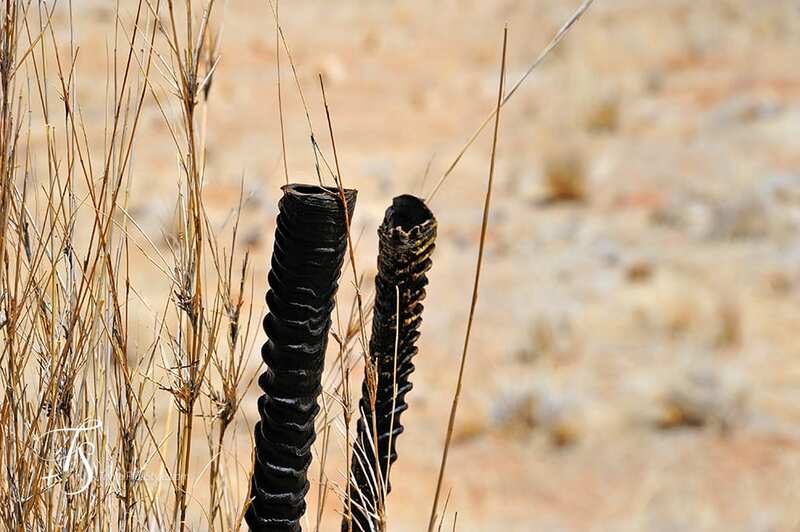 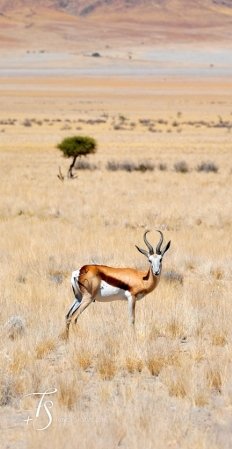 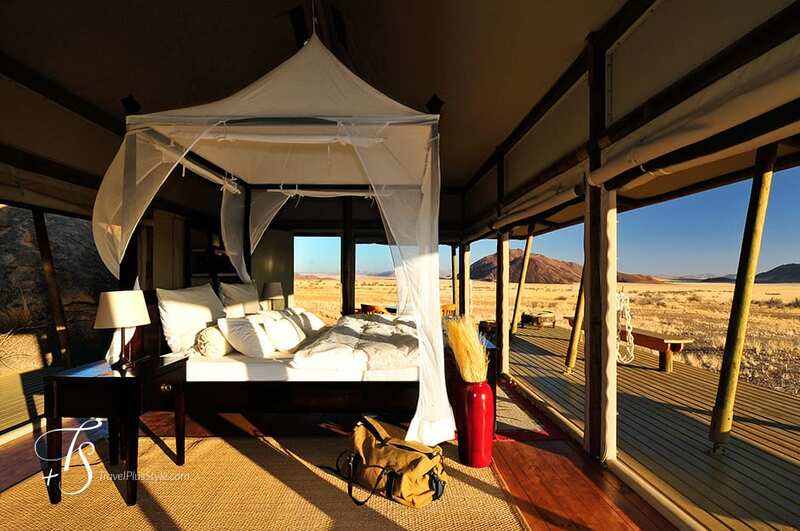 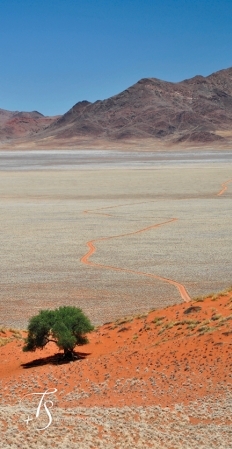 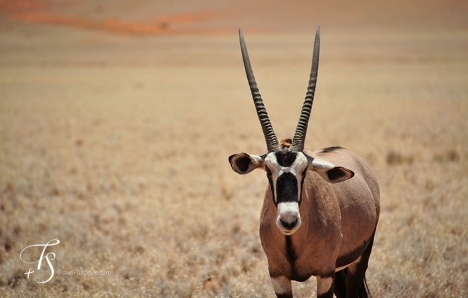 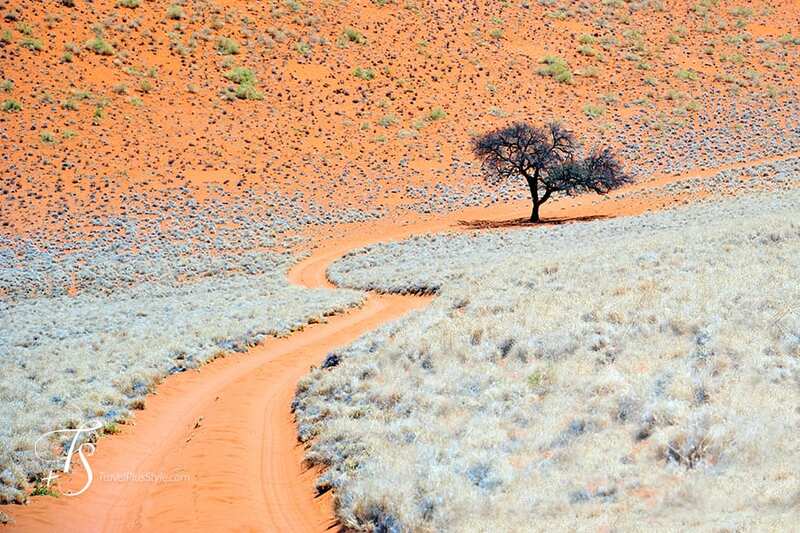 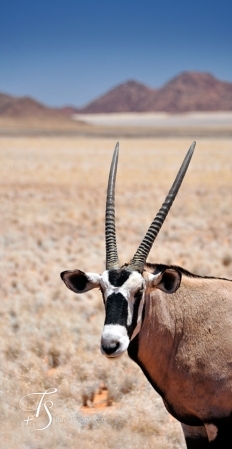 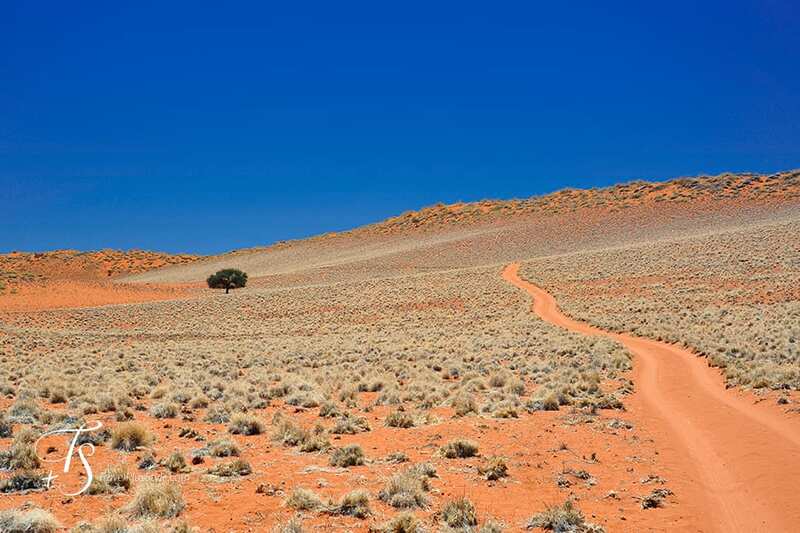 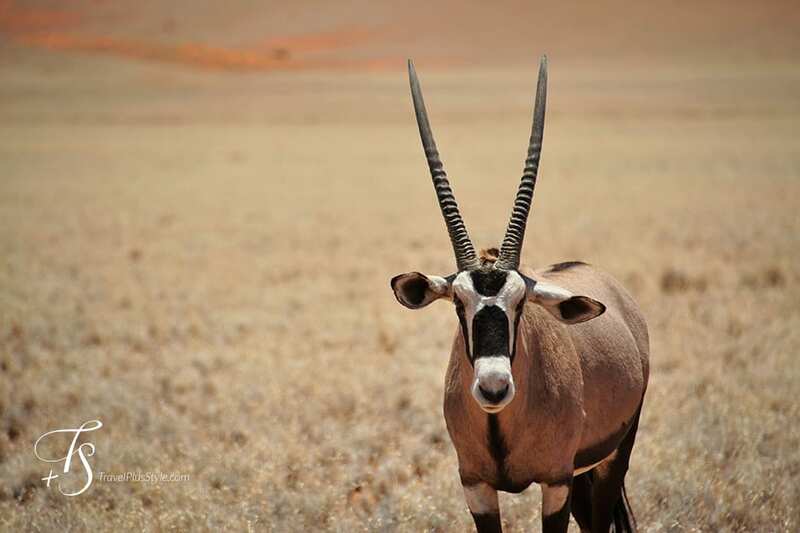 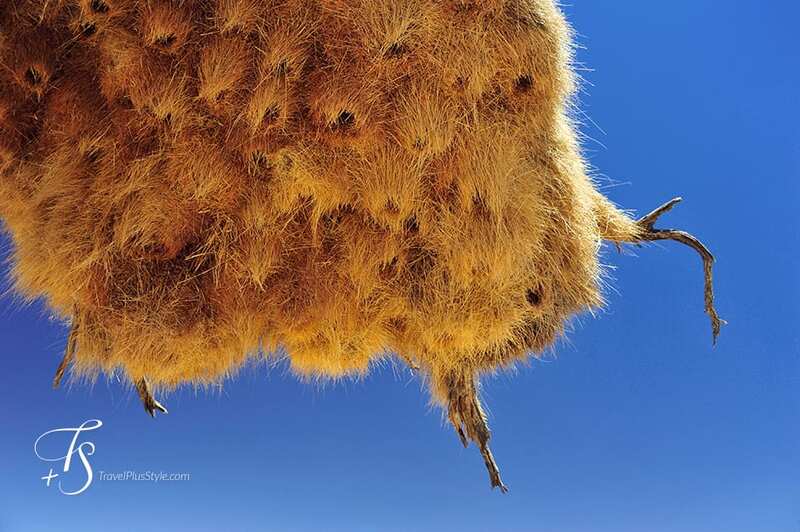 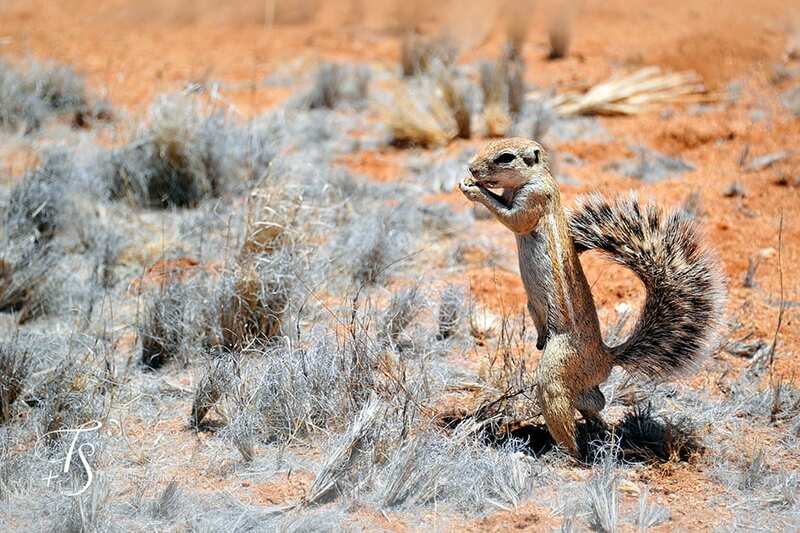 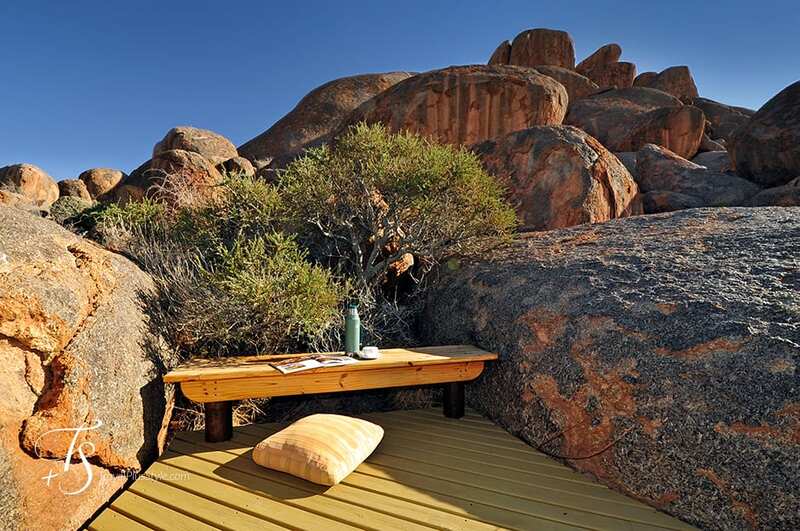 It applies to the Wolwedans Boulders Camp. 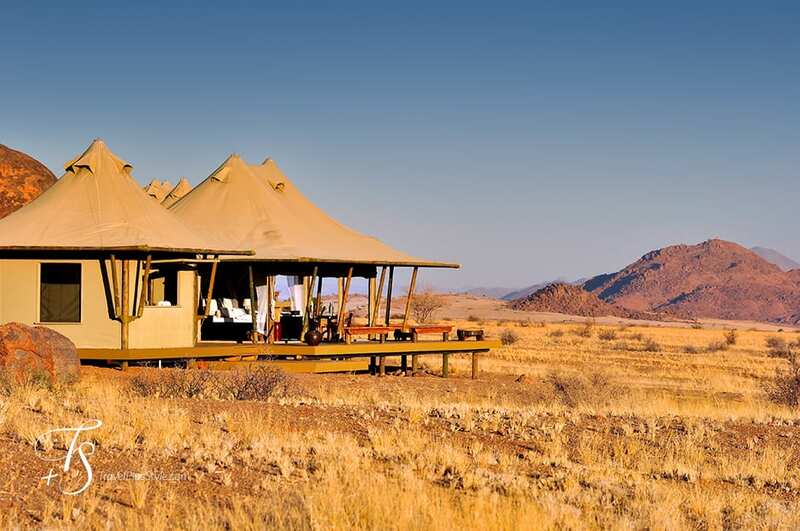 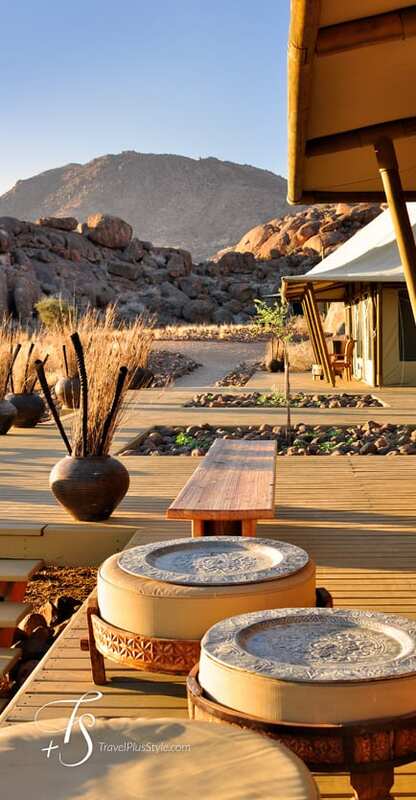 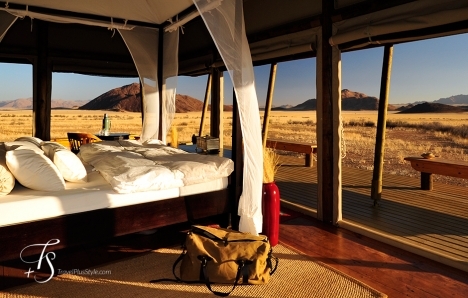 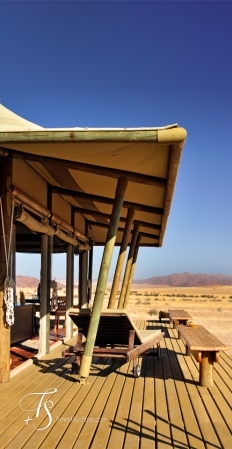 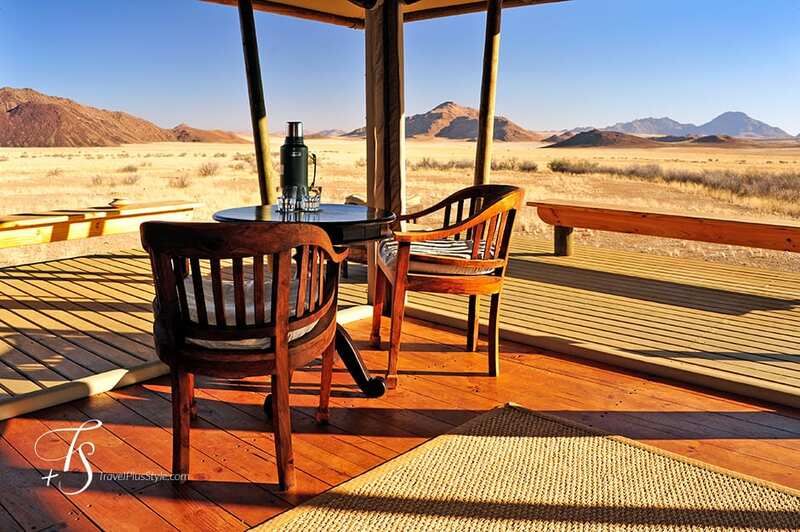 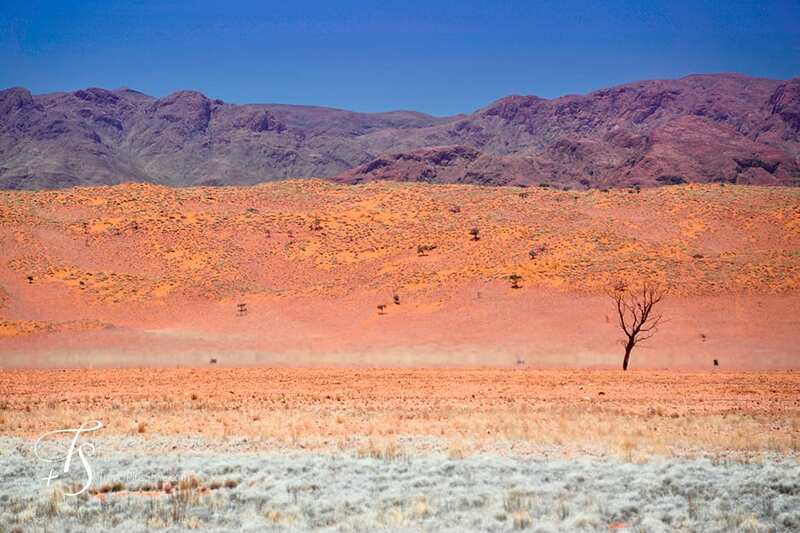 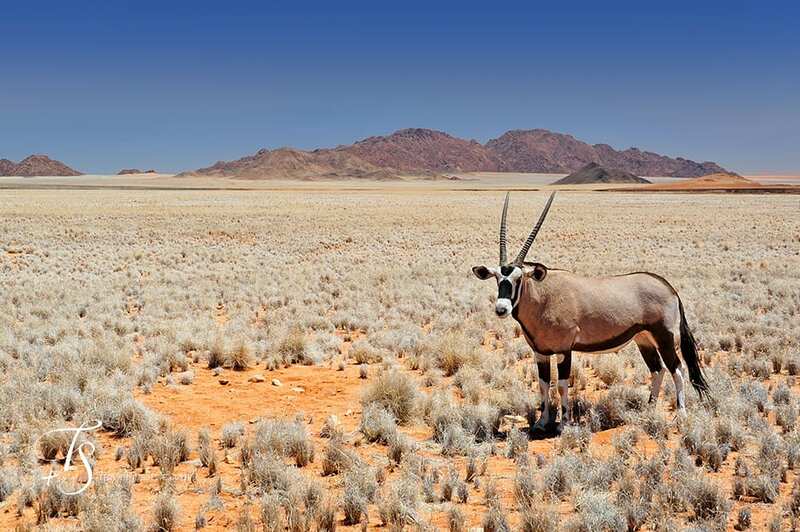 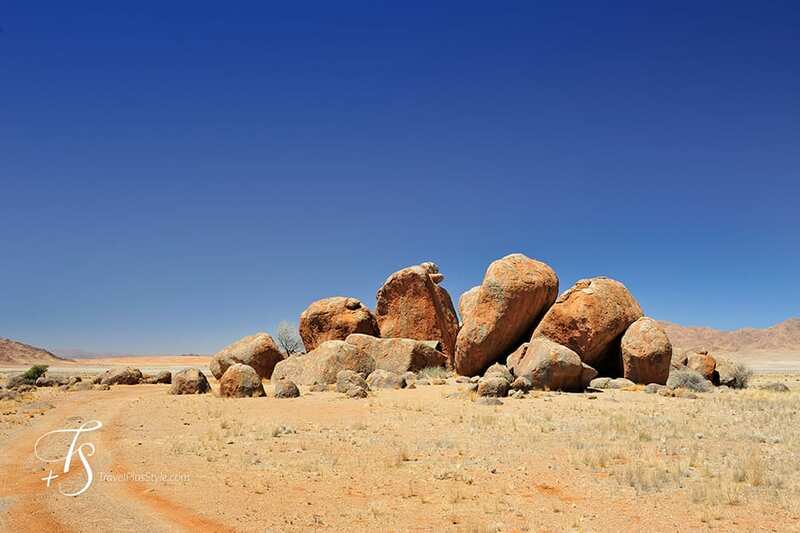 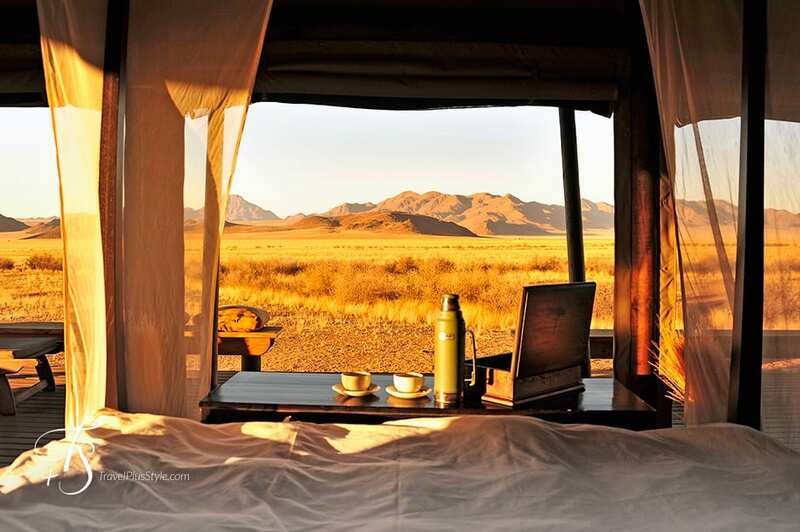 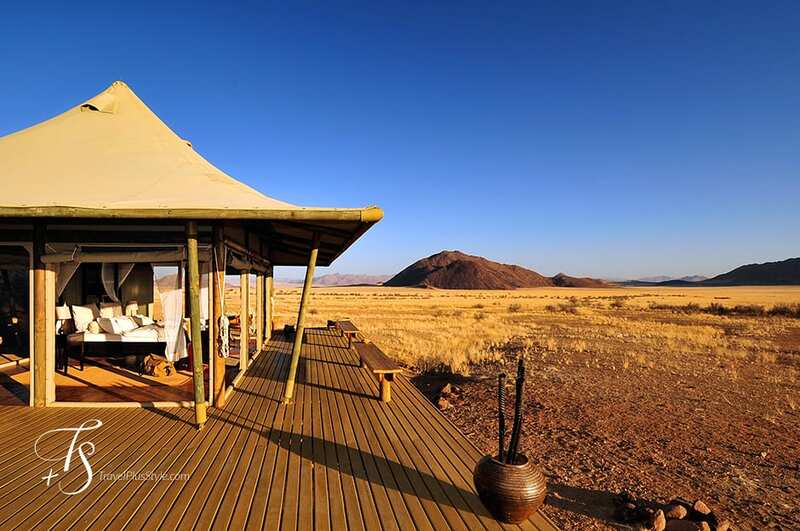 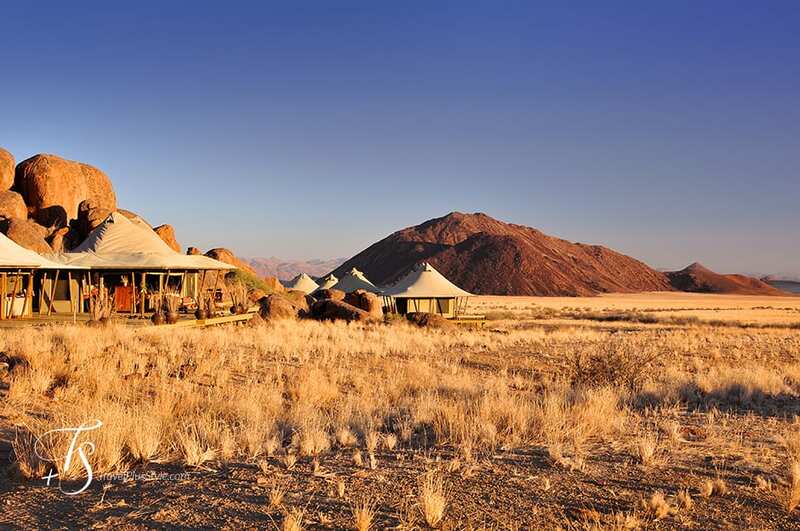 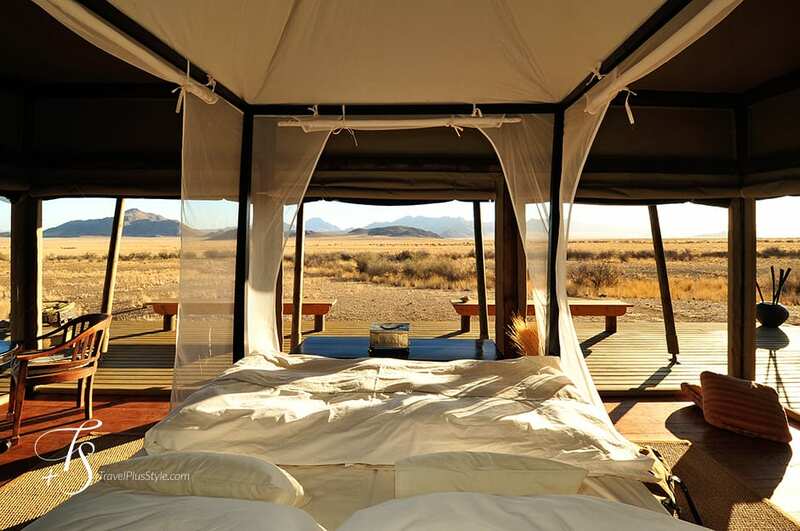 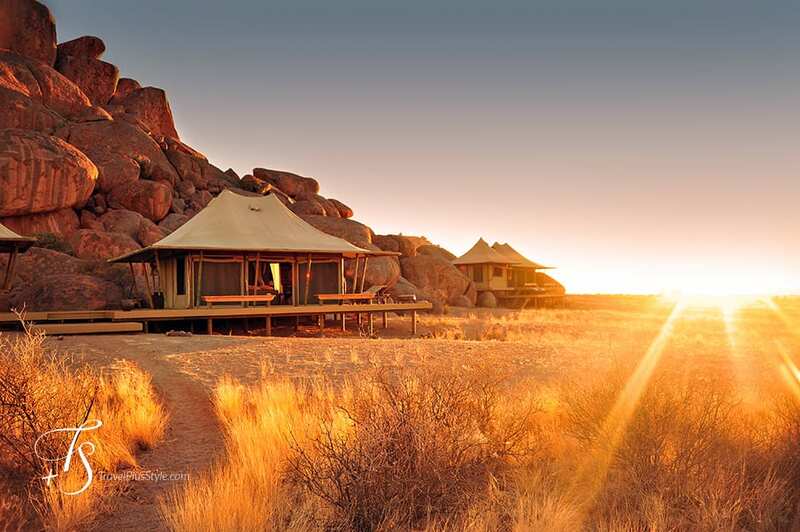 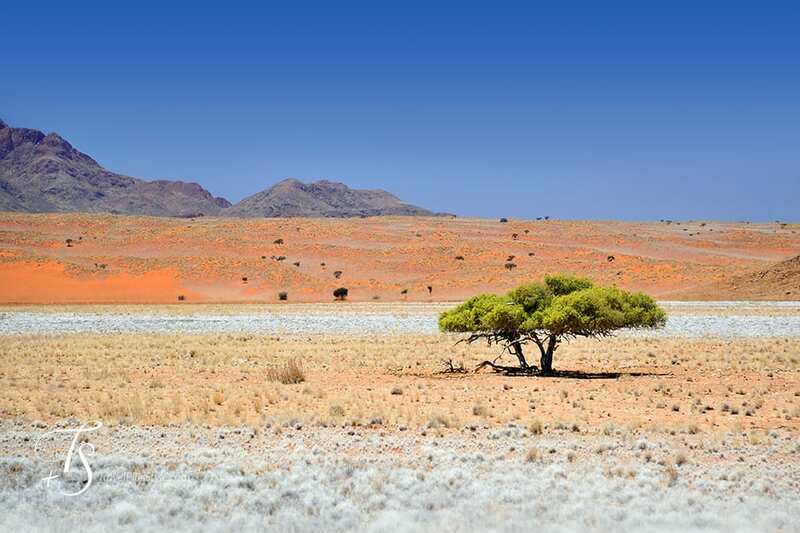 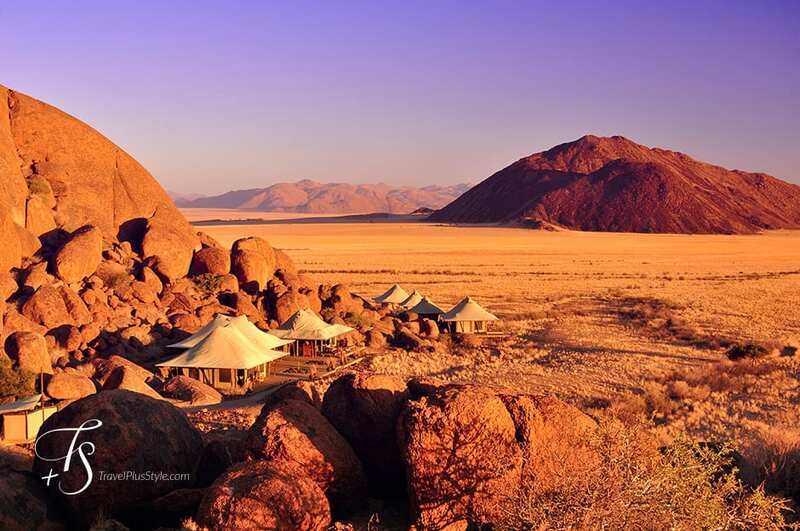 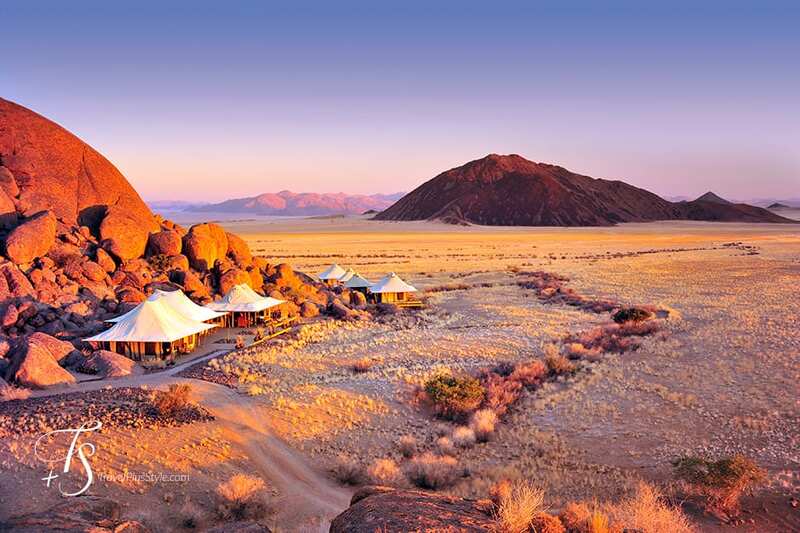 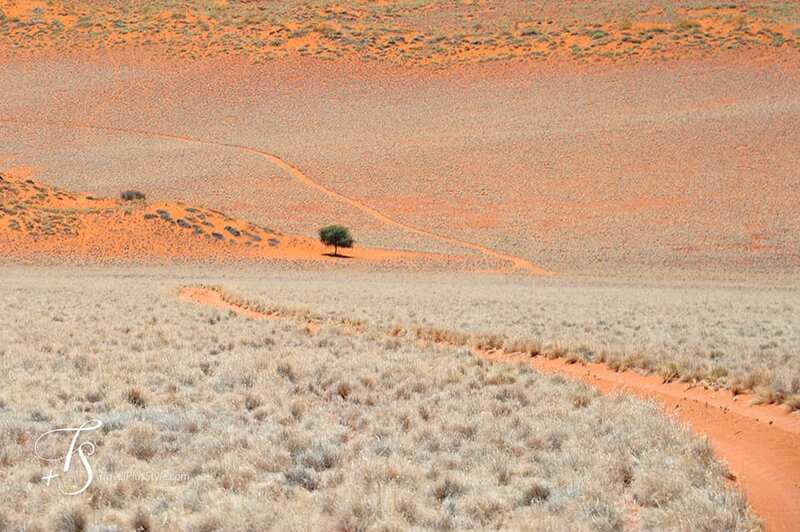 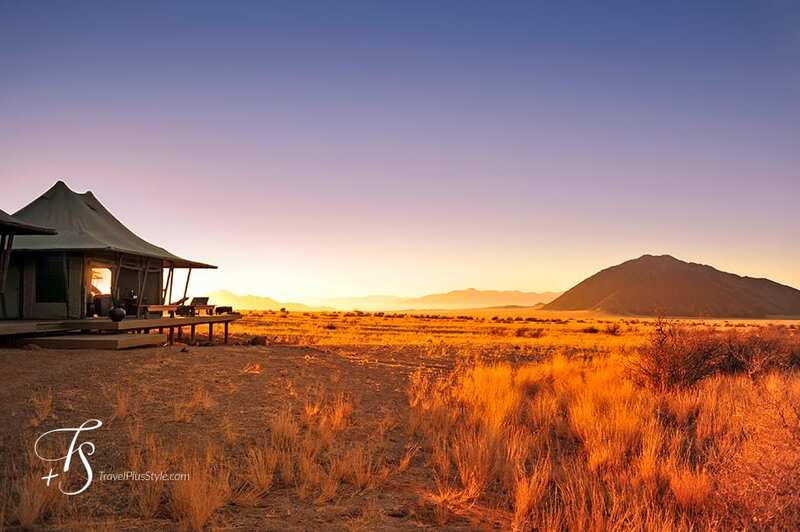 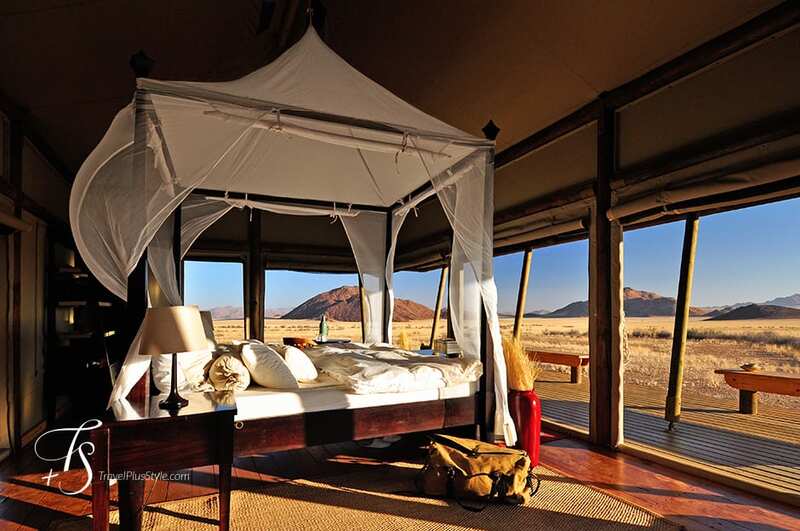 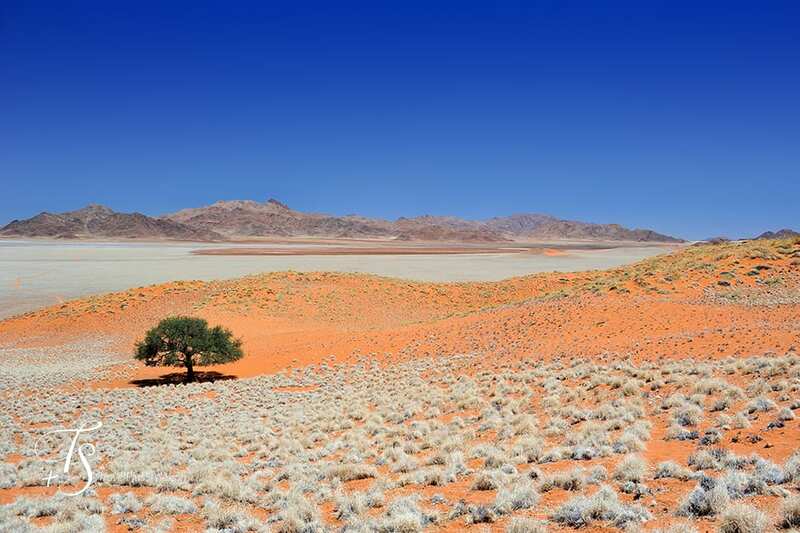 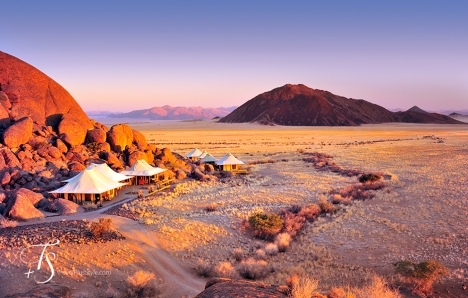 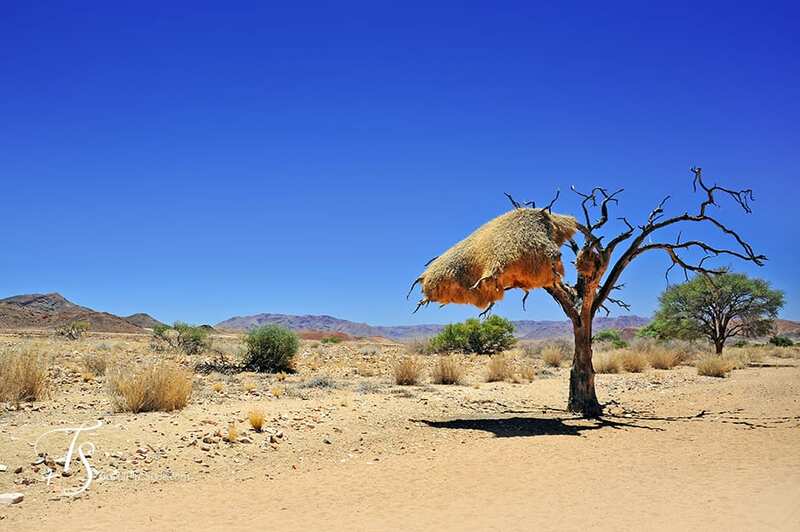 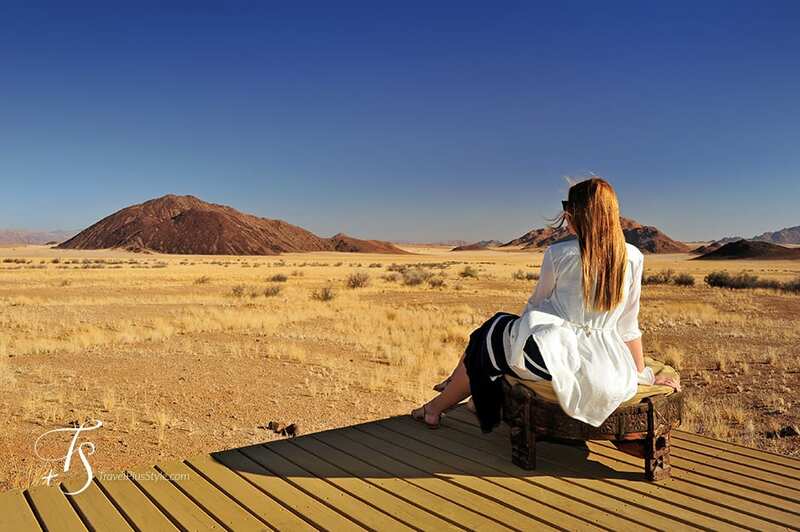 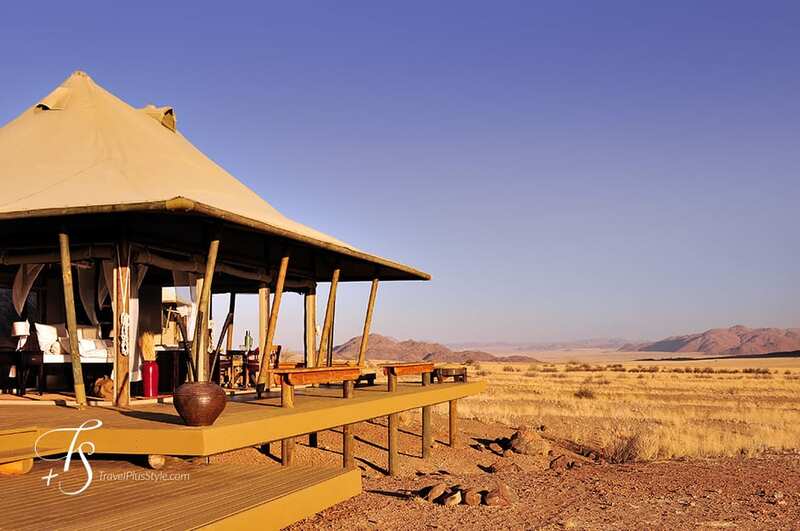 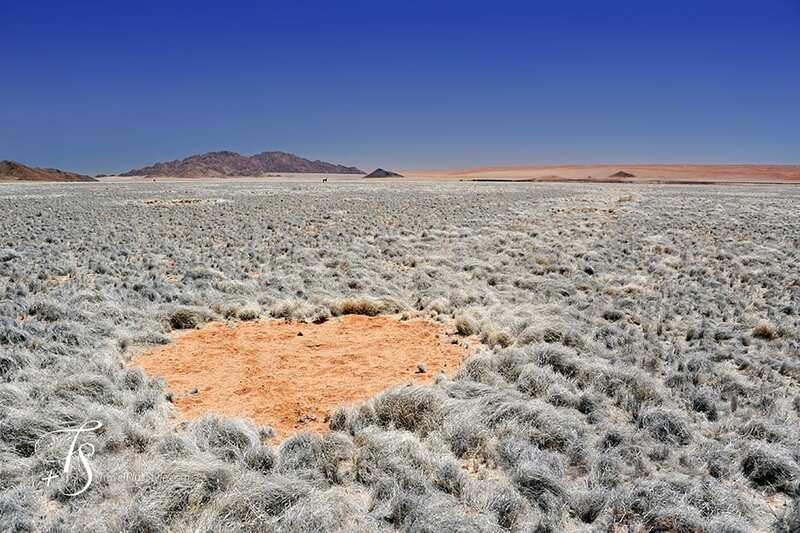 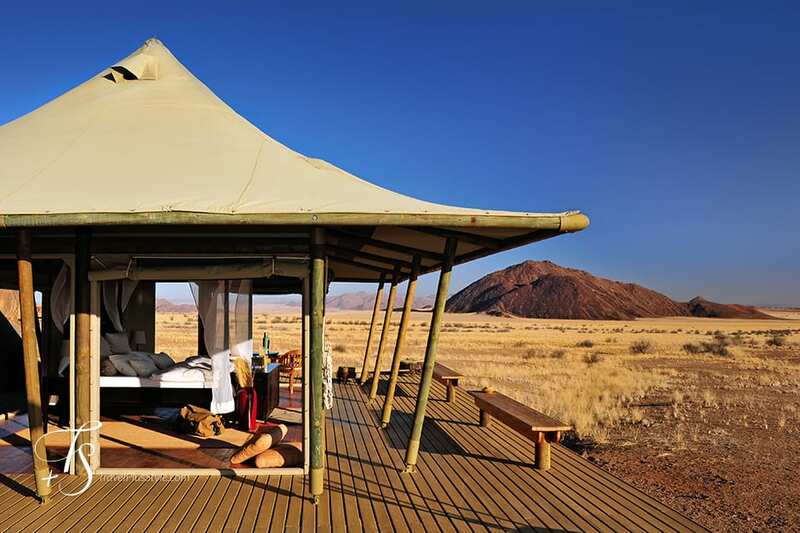 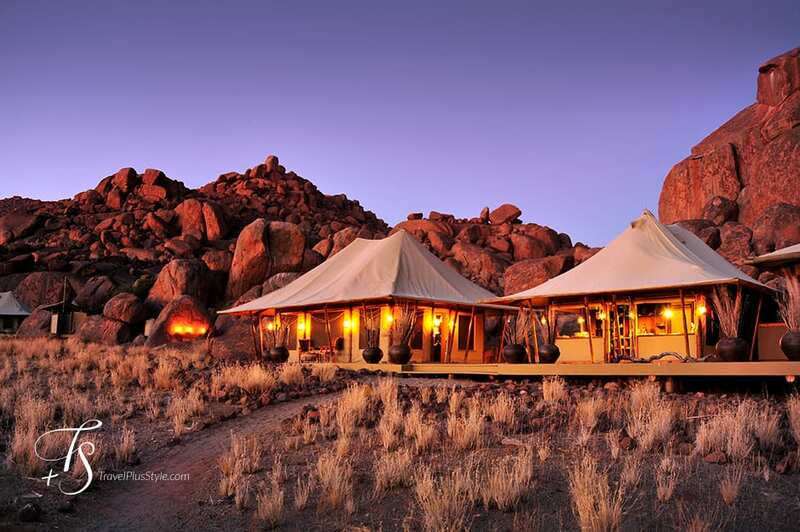 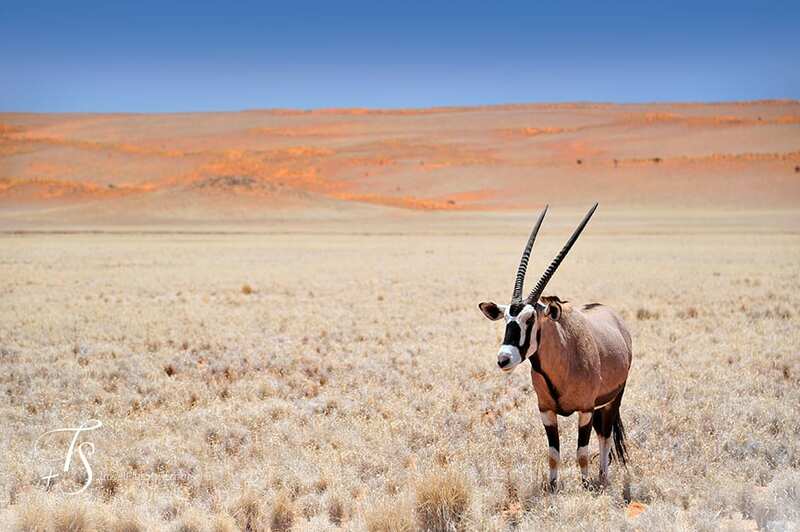 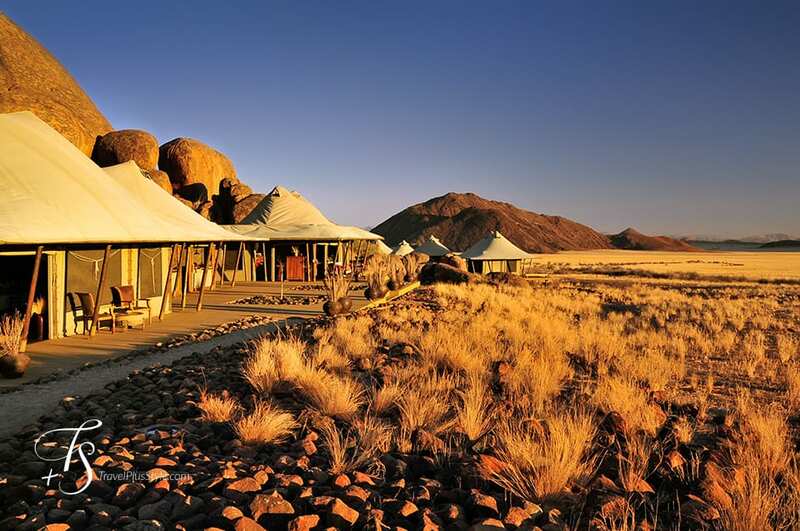 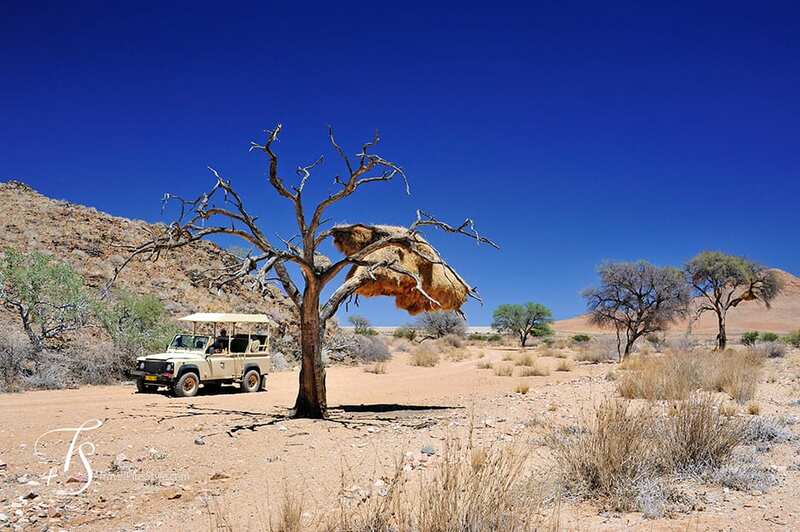 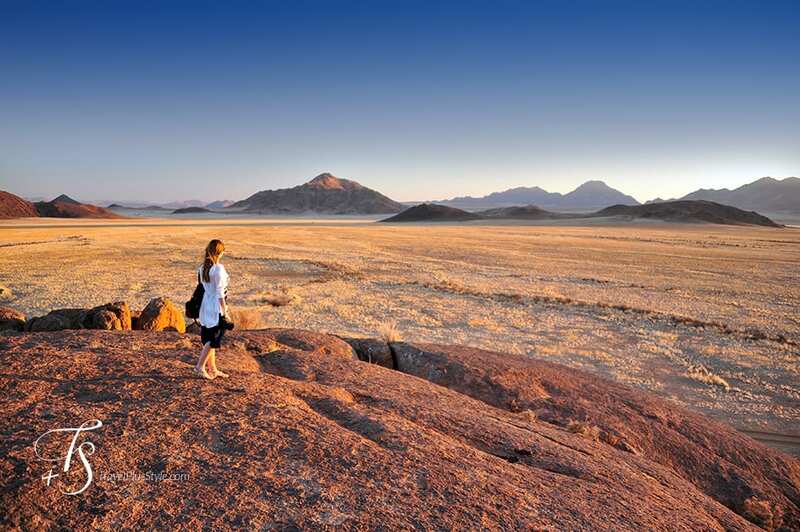 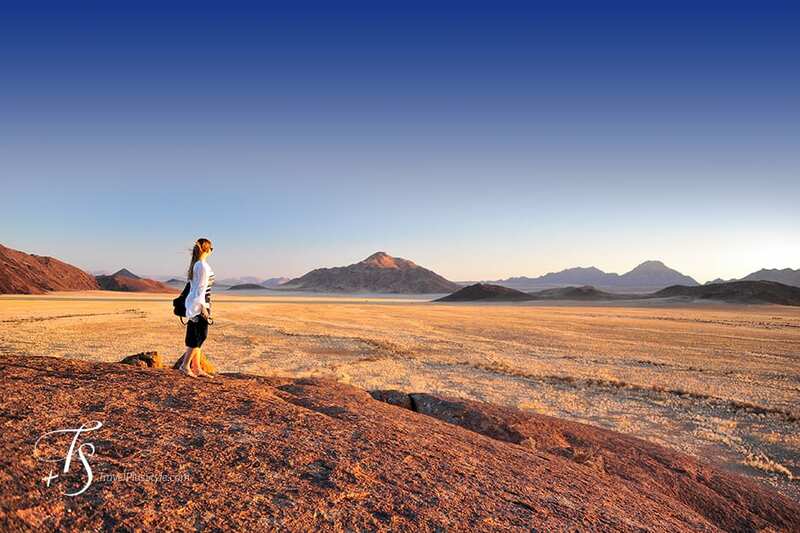 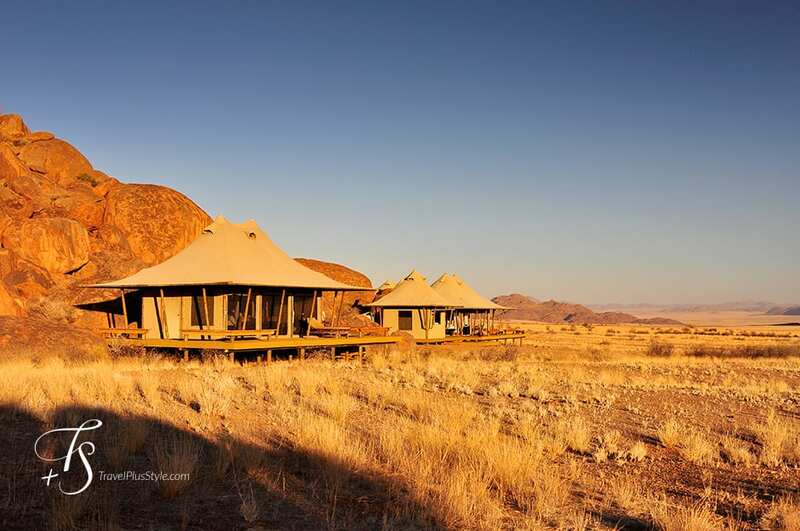 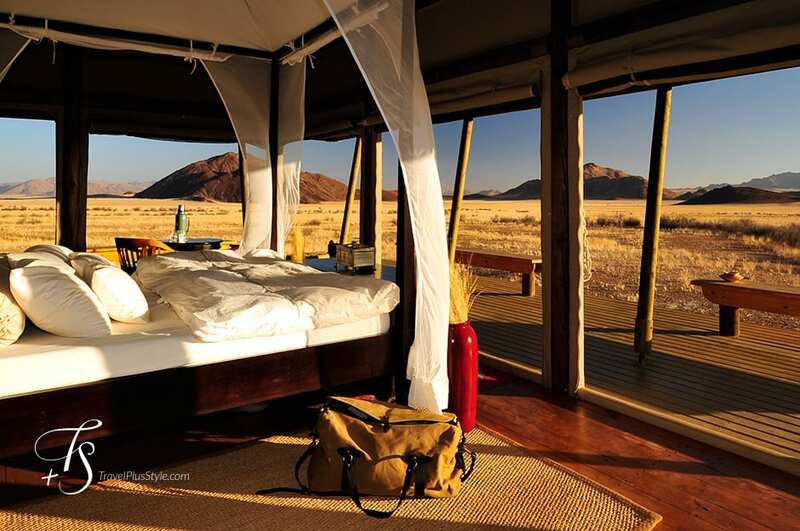 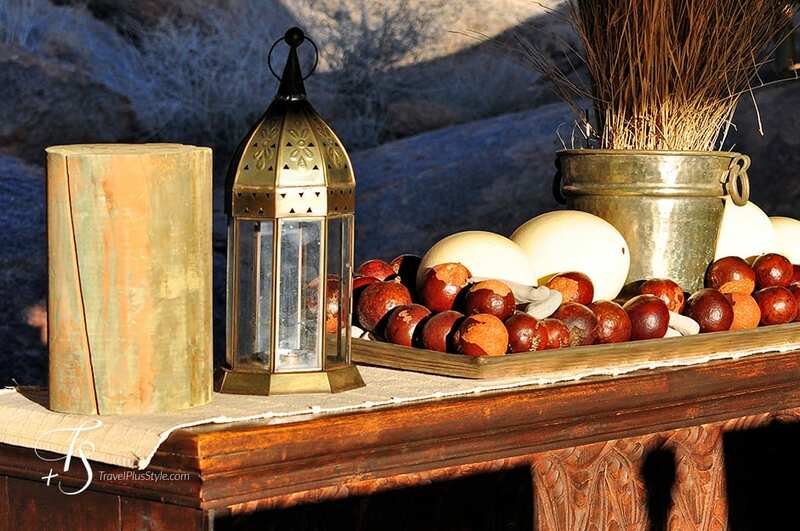 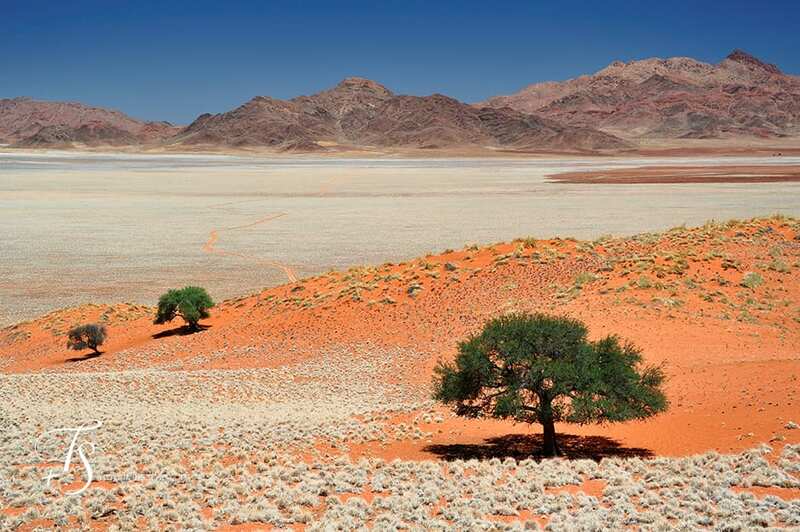 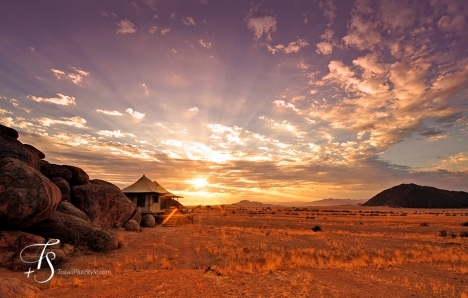 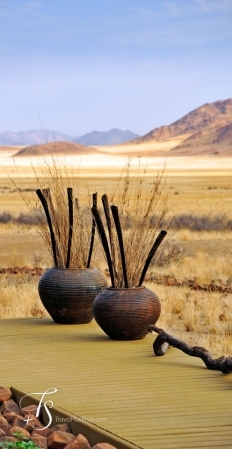 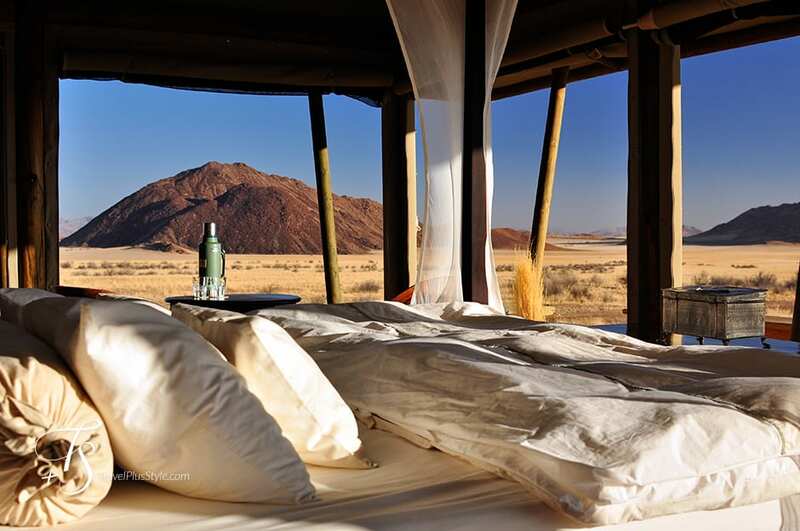 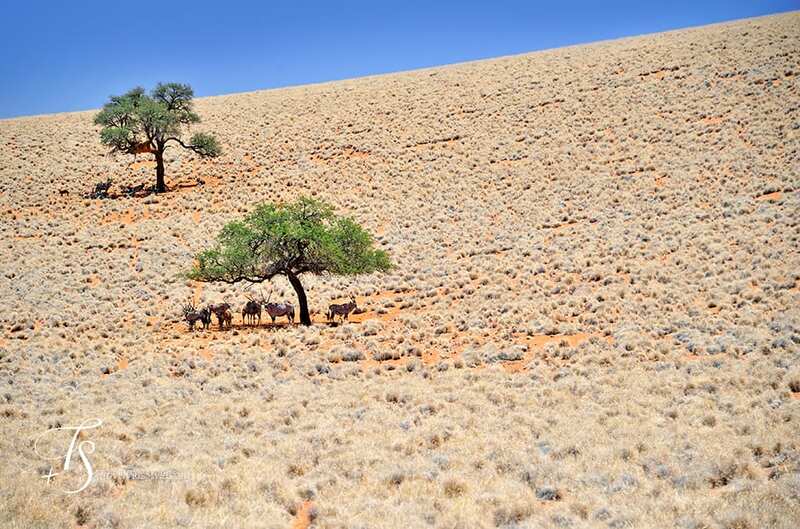 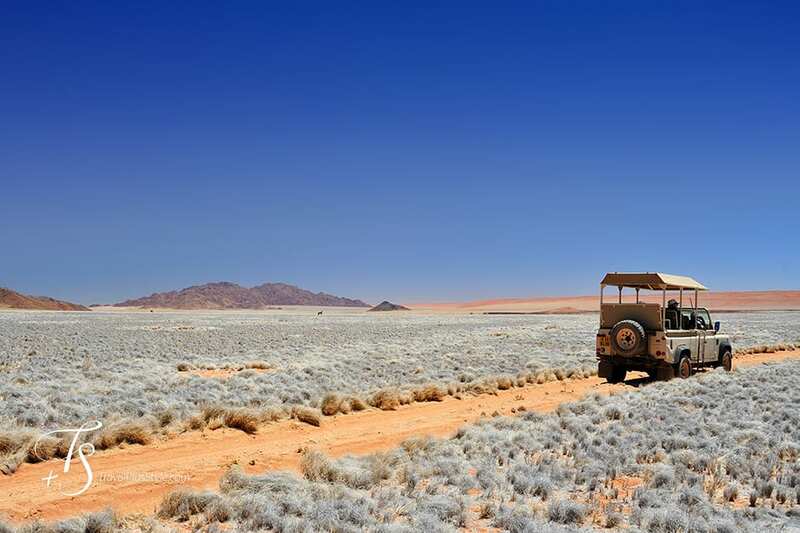 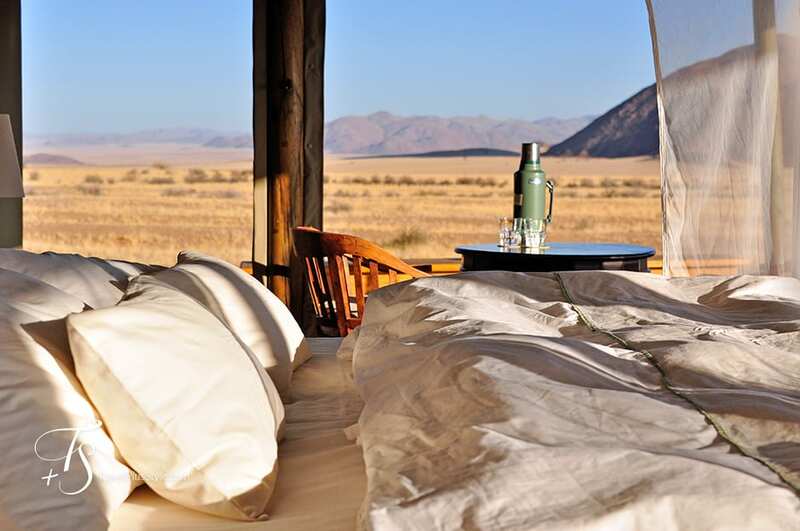 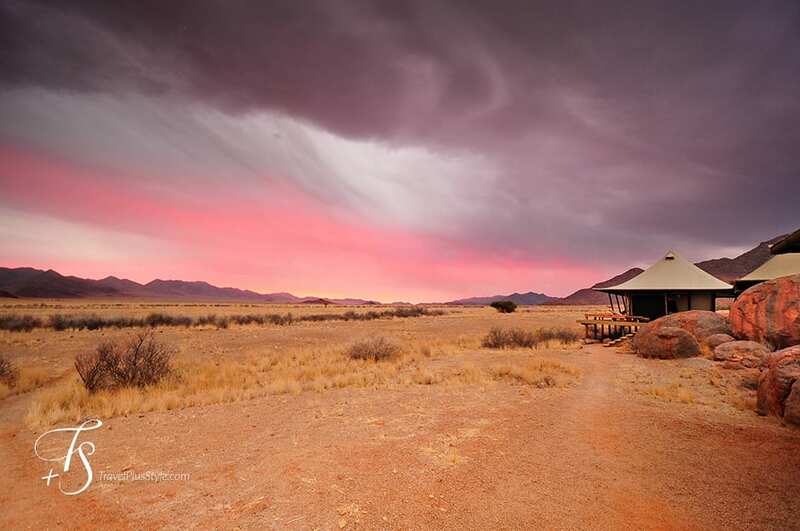 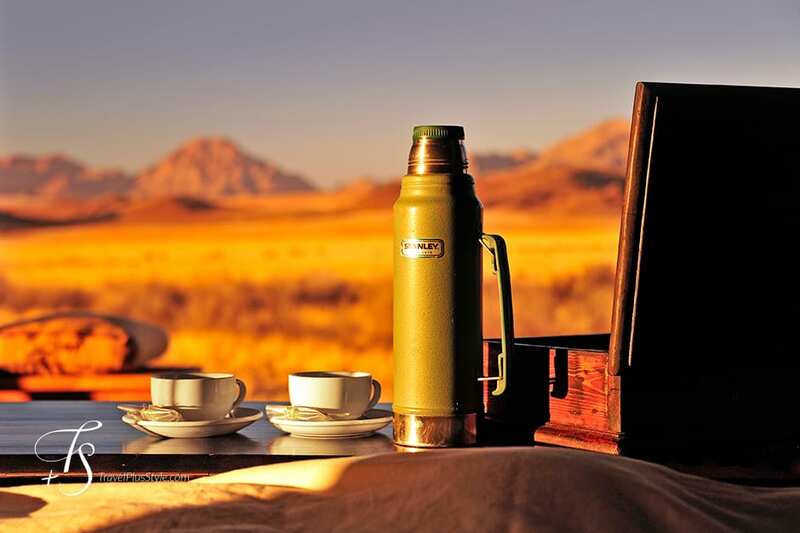 Sheltered between huge boulders and facing a beautiful desert, the absolutely stunning setting of the Wolwedans Boulders camp makes it truly out of this world. 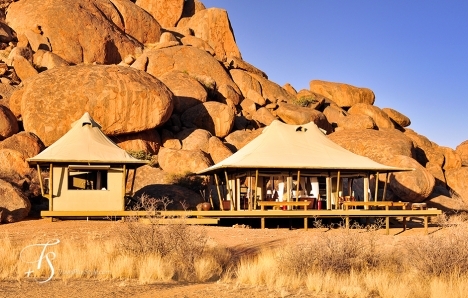 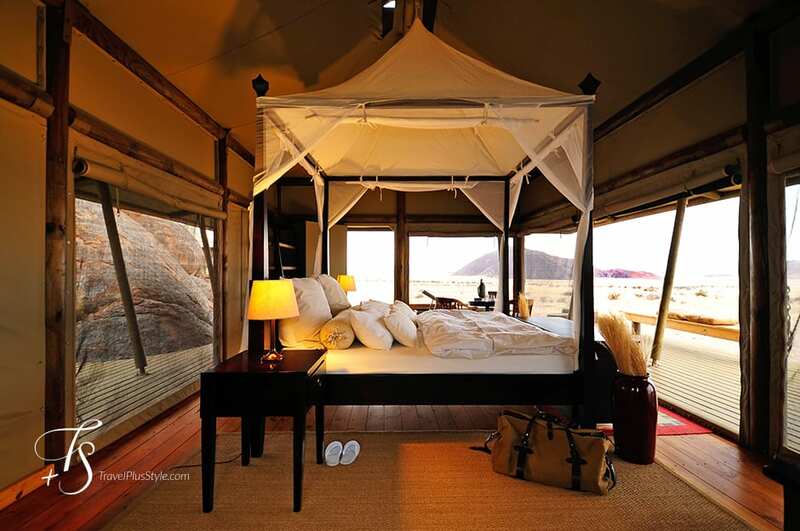 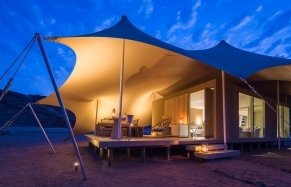 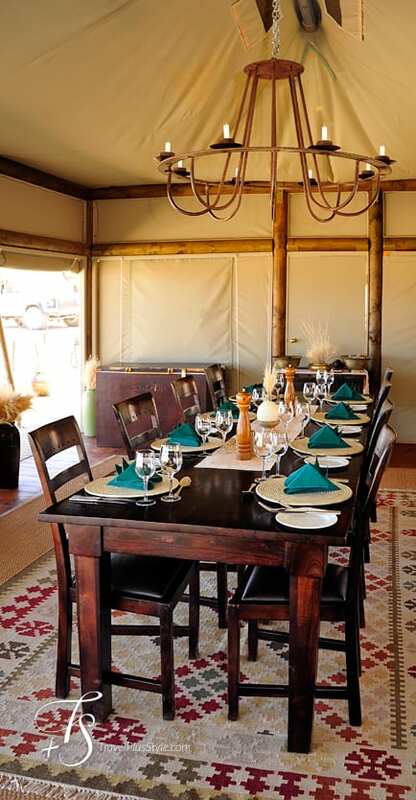 The Boulders is super exclusive, with only four tents (eight guests max) and personalized service. 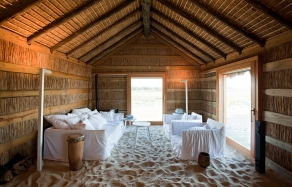 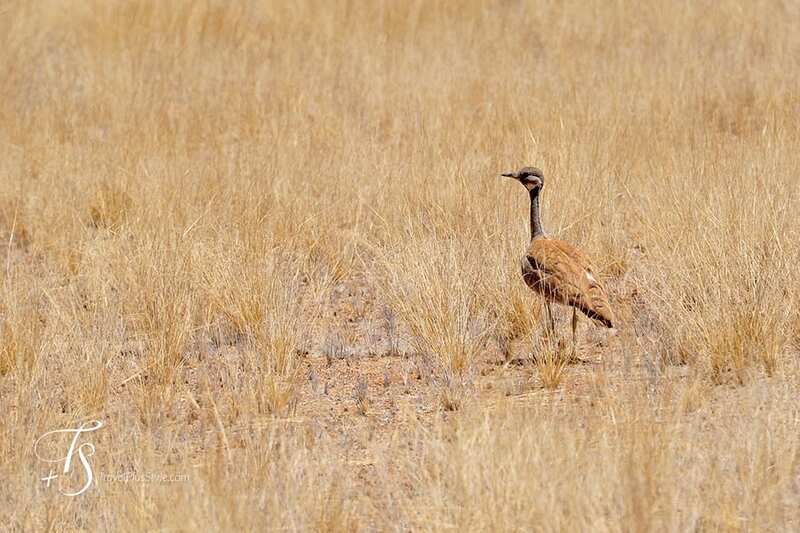 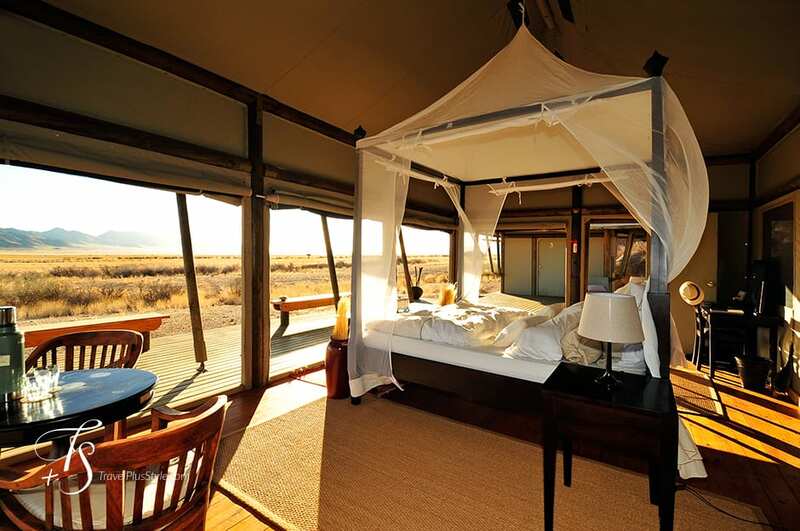 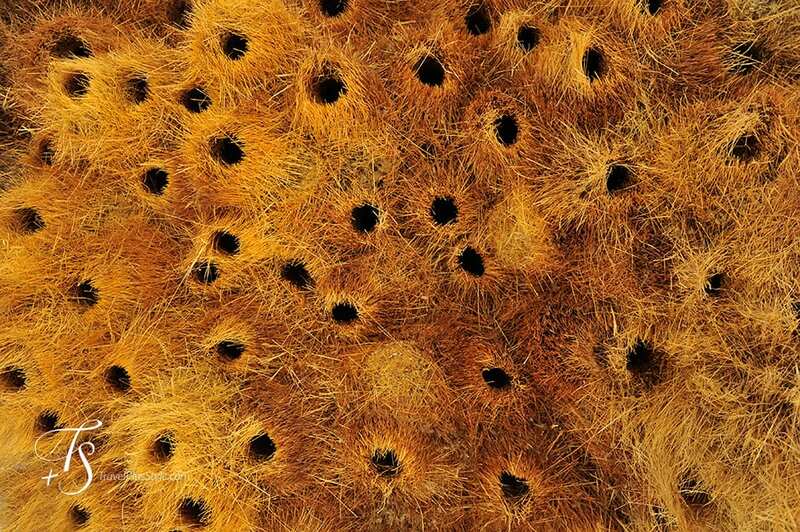 It’s a celeb pick, too—isolated and remote, and no guests from other camps visiting the area. 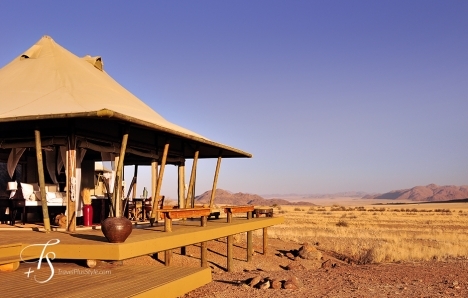 The sundowner drive is a must, so is a visit to the sunset spot on top of the huge rock overlooking the camp. 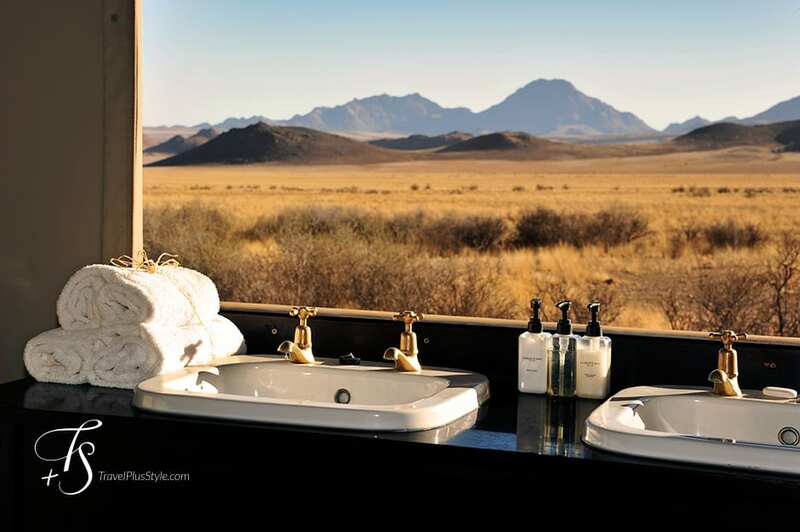 The views from there are magnificent. The camp is facing east—the sunrise in the desert is just magical!